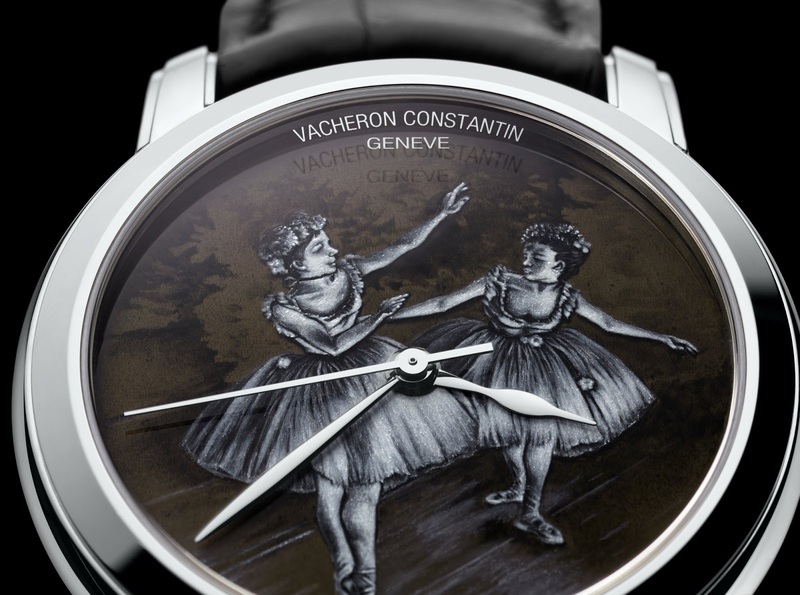 The dancers glide across a wooden parquet that reflects the light and reveals their shadows. 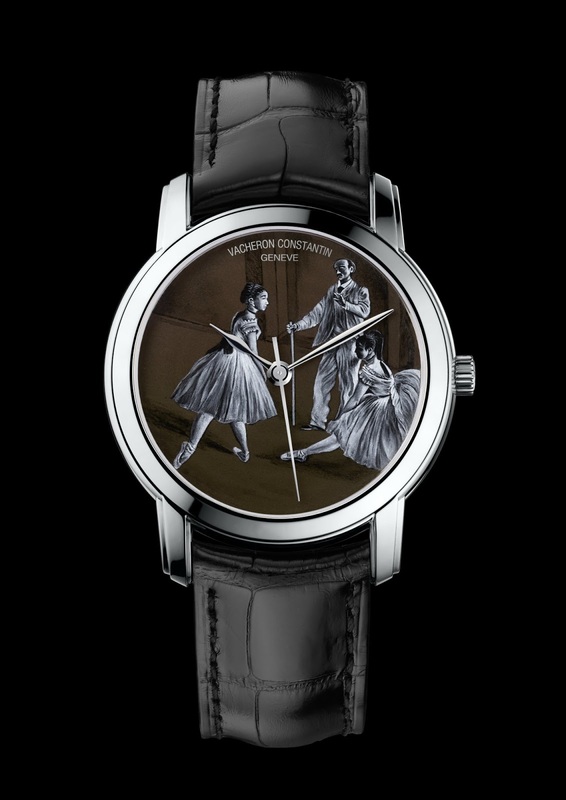 Entirely in the manner of Degas, the Vacheron Constantin master enamel artist reinterprets the exact moment, the gestures, the pose and the perspective, playing on chiaroscuro light and shade effects to anchor the scene firmly in reality. 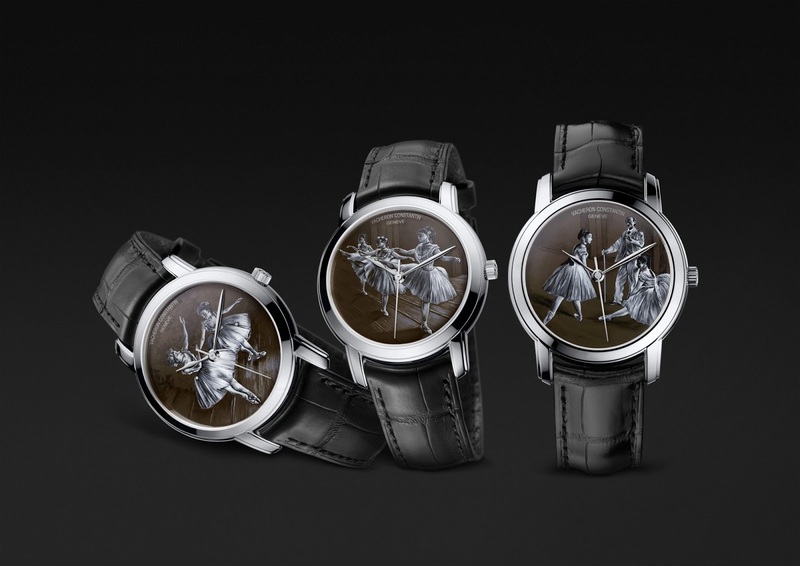 Framed to perfection by the understated elegance of a finely polished 40 mm-diameter case, the Grand Feu grisaille enamelling of the Métiers d’Art Hommage à l’Art de la Danse is entirely hand-crafted with infinite patience, meticulous care and intense concentration. 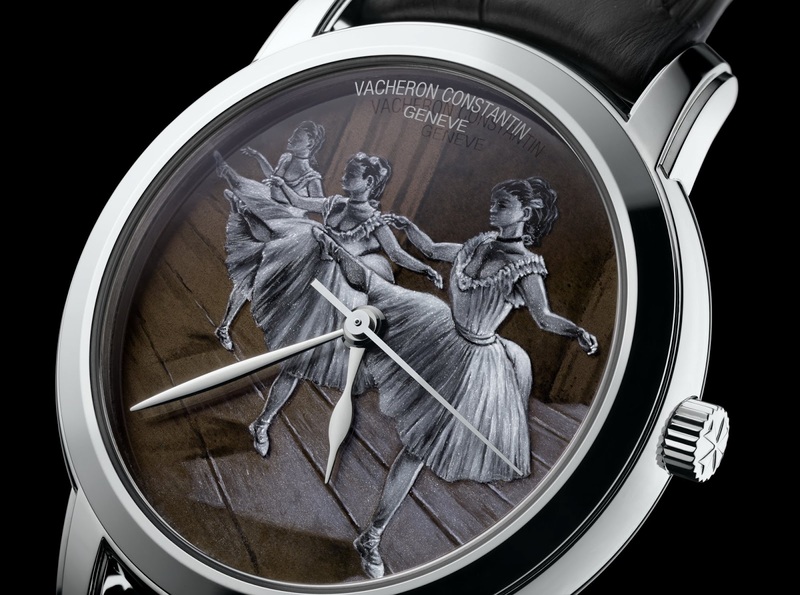 A worthy heir to the spirit of the Cabinotiers cherished by the founders of the House, this ancestral technique reclaimed by Vacheron Constantin succeeds – without the help of vivid colours nor additional material – in creating an authentic depth effect that captures the ballerinas’ experience right the way through to the tiniest fold in their costume. 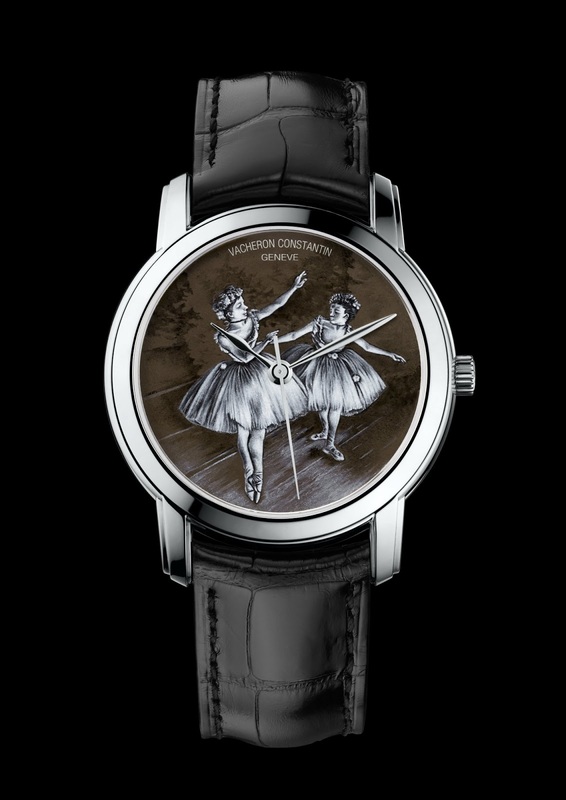 The music to which they move is the regular beat of the self-winding Calibre 2460, entirely developed and crafted in the Manufacture Vacheron Constantin. 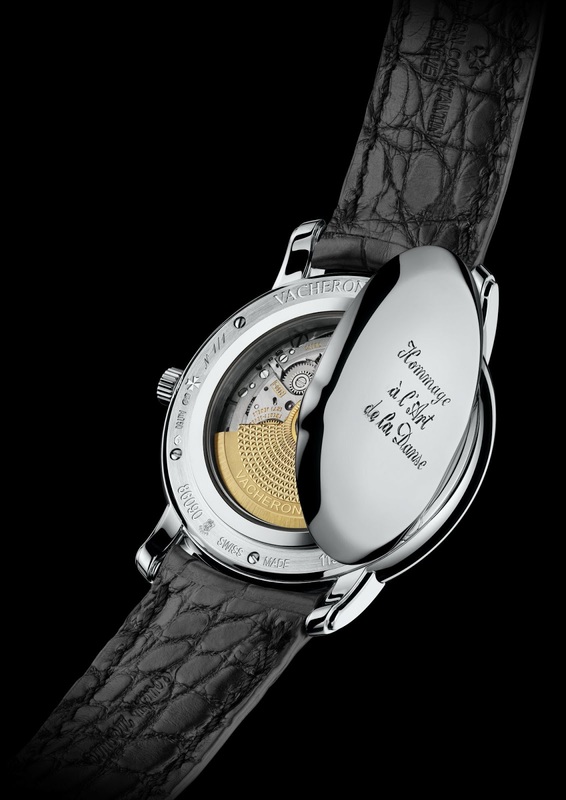 Such a work of art naturally deserved an exceptional movement, and its superlative finishes are performed in keeping with the finest Genevan traditions of Fine Watchmaking. In his work on ballerinas, Edgar Degas doubtless sought to explore the mystery of movement – seen as an expression of life itself. A painter born in 1834 and who died in 1917, Degas has often been classed as an impressionist. He nonetheless also took an interest in engraving and sculpture, worked with charcoal and pastels with which he mixed gouache and watercolours, created monotypes enhanced with chalk and lapis, as well as trying his hand at pictorialist photography using printing techniques based on oil-based pigments… A complete artist, he sought to capture light and movement in his works, using a wide variety of processes, cultivating his taste for technical experimentation and displaying a creative freedom that was extremely innovative for his era. Exactly like Vacheron Constantin and the Opéra de Paris, Degas constantly renewed his art. His work, and particularly his series on ballet dancers, shows the extent of his mastery in summarising a sequence of movements, gestures and experiences. He uses elliptical shortcuts, close-ups, upward or downward-sloping perspectives, colliding oppositions and variations on the theme of paintings in contre-jour, or against the light. 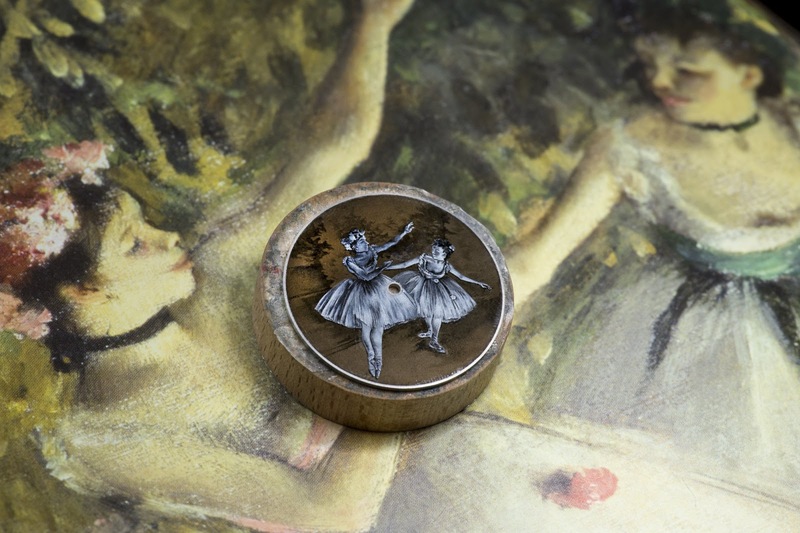 Edgar Degas invented a role for light-streaked floors in suggesting space – as magnificently illustrated on the dials of the Métiers d’Art Hommage à l’Art de la Danse. He carefully arranged the connections between reflections and sources of light, always closely attentive to the unexpected lighting of the ballet rail that projects colourful splashes onto the dancers’ faces. The artist dared to cut and segment so as to immortalise a moment of life encapsulated in a gesture, a posture, or a beam of light. In reference to his faithfulness to a number of classical rules, as well as to his many innovations, Jacques-Emile Blance wrote of his work in 1919 in these terms: “He bridged the gap between two eras; he linked the past to the most immediate present”. 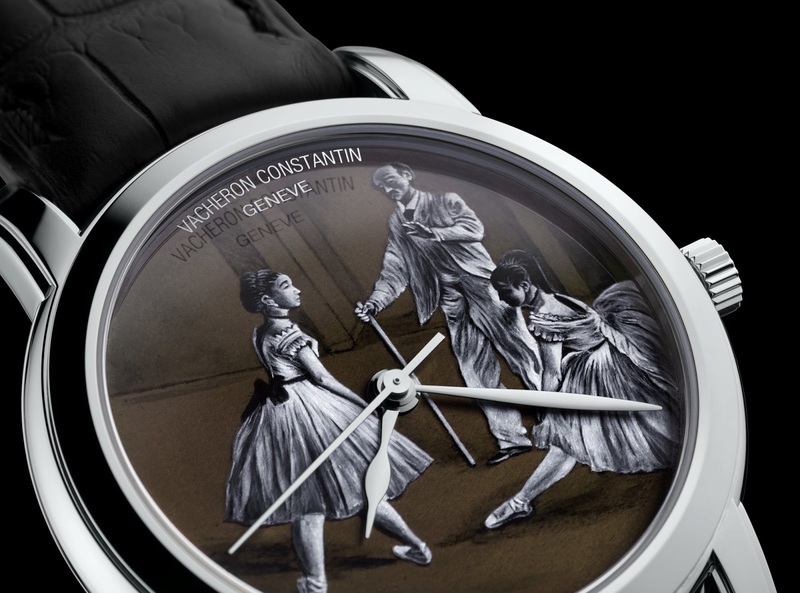 Unique pieces, only available in Vacheron Constantin Boutiques.